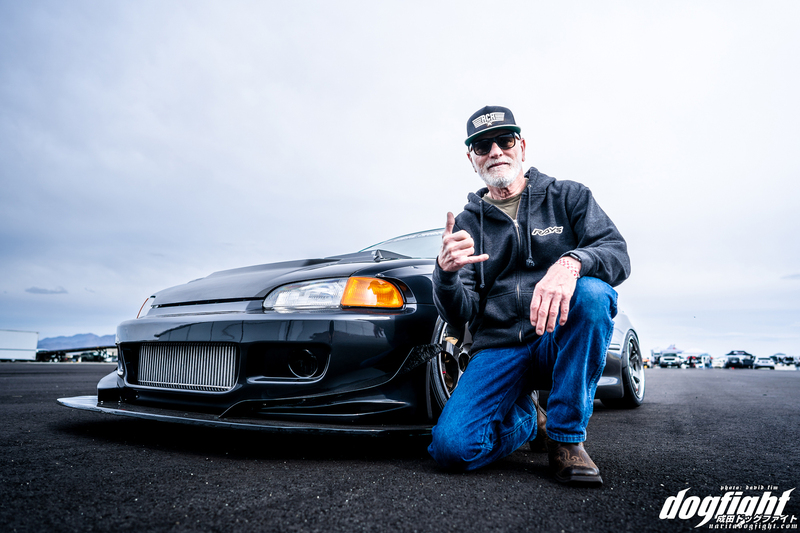 He has taken the development of his EG6 to an entirely new level over the past two years with the addition of the new engine build, sequential transmission, and full exterior makeover. The execution of the rebuild was so well done, however, that the attention garnered by the finished product had caught Phil off guard; and with the second year of the car’s completion passing, he’s yet to drive it around a race track. Which, for a guy like Phil, is all but torture. Having been generously offered a spot in the Rays booth at the 2017 SEMA show in Las Vegas by Matt at ICB, the little Civic was very quickly thrust into the global spotlight. While Phil got to enjoy his time in Vegas alongside his son Jesse, taking part in the festivities, and ultimately winning the coveted Sony Gran Turismo award, the attention came part and parcel with some commitments that would ultimately keep him from driving the car on track; literally the one thing he actually built the car for. Sony would later go on to offer Philip a chance for the car to be featured in the new Gran Turismo game coming out later this year. A chance that no sane car-builder would pass up – a chance for your car to be eternalized in CG form? Sign me up. Unfortunately, for Phil, the car’s need to be 3D scanned has prevented him from sending it out on the race track. The last thing Phil wanted to do was show up to the appointment in Los Angeles with a blown up front end. An overview of Phil’s life and his venture into racing can be listened to over in the Podcast section of the site. 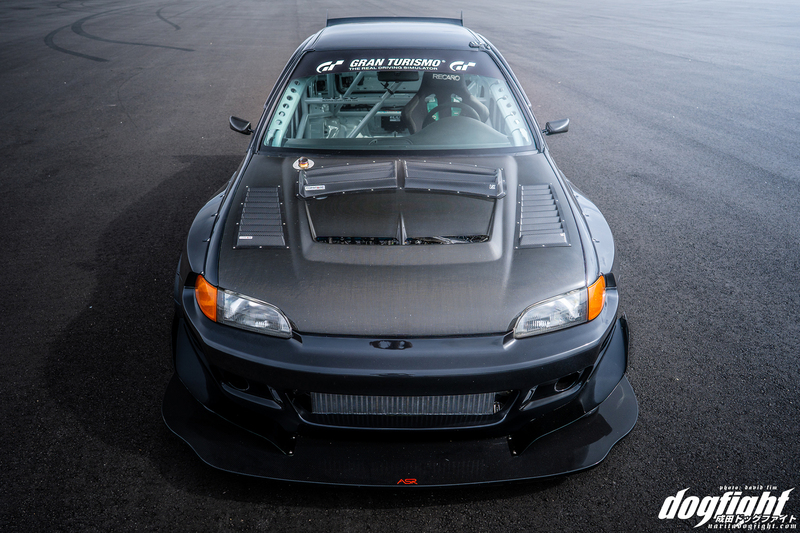 We were lucky enough to sit down with him at Chuckwalla Valley Raceway last month and have a solid conversation, but having gotten caught up in his early years, we sort of glossed over the recent rebuild of the Civic – something this good requires some visual accompaniment anyway. 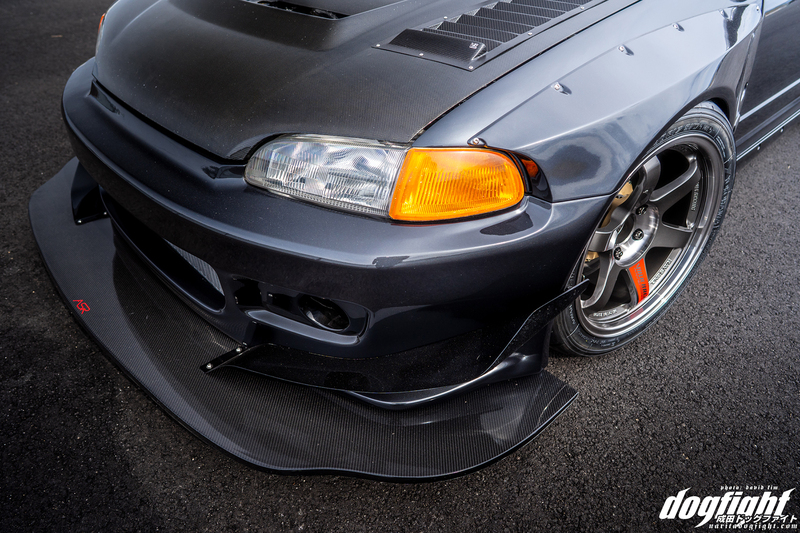 The most noticeable change in his car has to be the exterior transformation the EG has undergone. 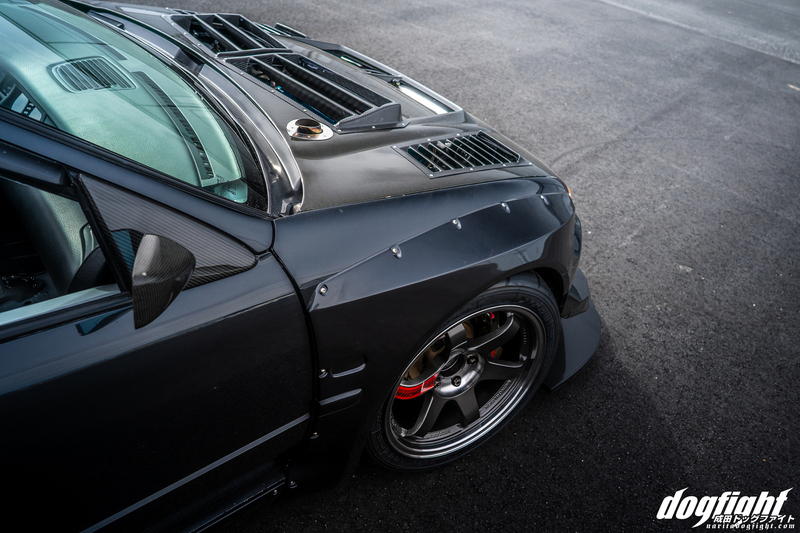 The all new Pandem/Rocket Bunny widebody kit increases the width of each of the fenders by an incredible 50mm. All that extra real estate in the fender wells is being put to good use too, as Phil was able to increase his wheel and tire size to better accommodate an increase in power. 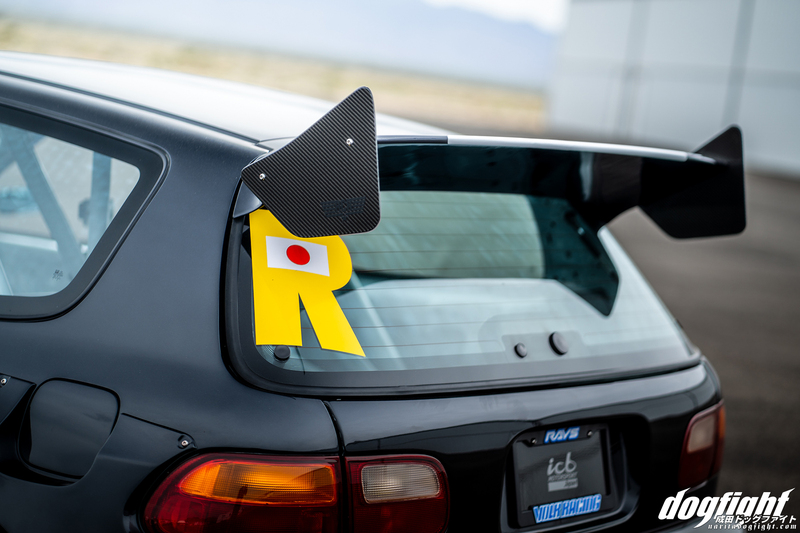 I have yet to see a track-built EG in the states with this kit on, so it’ll be pretty neat to see it once Phil starts competing again. There is a pink EG in the Kansai region of Japan that has the Pandem kit that frequents Central Circuit, but that’s really the only one I’ve seen on track. Wheel sizing has been bumped up to a perfectly sized 17×9.5 +12 at all four corners. Gunmetal TE37SL’s were chosen because, well, you’d be hard pressed to beat how good they look on pretty much anything. 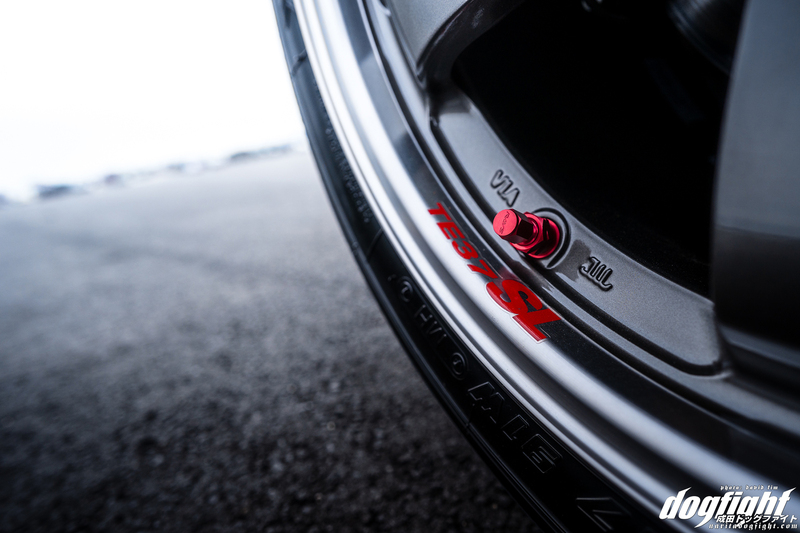 245/40/17 Advan A048 tires will handle the grip once the car finally hits the track. For now, they are simply tasked with looking good. 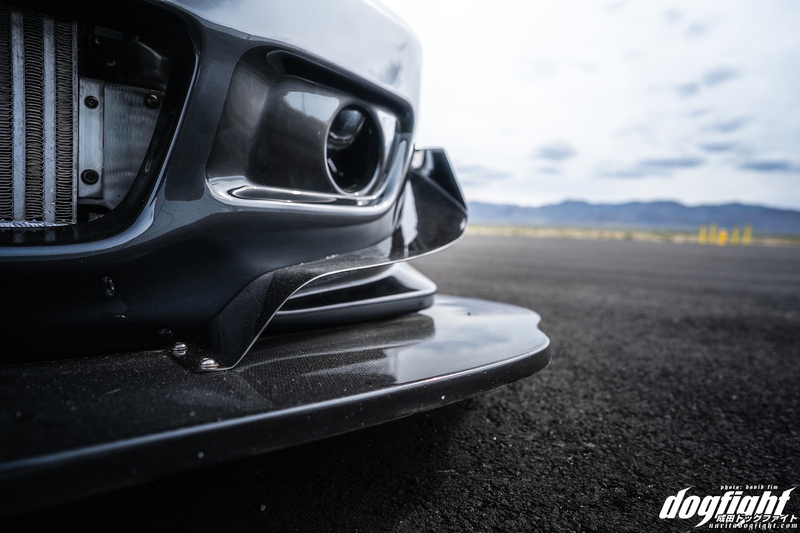 A new, local outfit out of Arizona supplied the car with a prototype carbon front splitter, replacing the smaller, less effective piece that came with the Pandem kit. The Pandem front canards integrate in the new splitter very nicely. Philip is already exploring options on how to increase the width of the fenders, as the 245’s are just about at the limit as to what can fit underneath them. The interior remains one area that has seen relatively little change, as it was already near perfection before the rebuild. 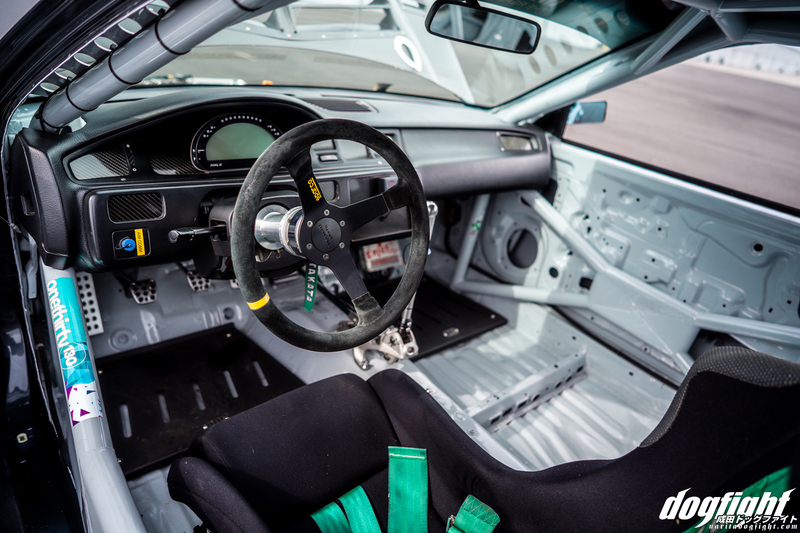 The new dash; an AIM MXL 2 provides all the information a driver would want to monitor while out on track or in the pits. The carbon bezel is a nice touch, and matches the rest of the OE dash block off plates that were custom made for the EG. 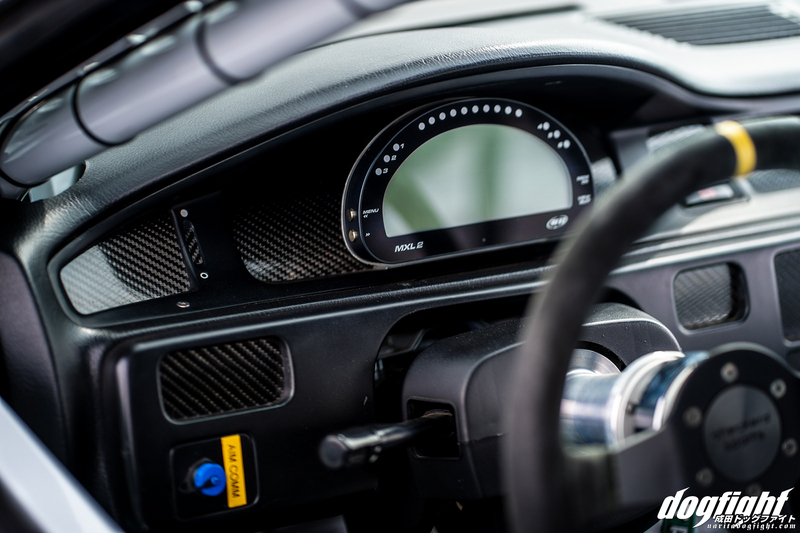 A Geartronics gear display for the sequential sits front and center on the dashboard. 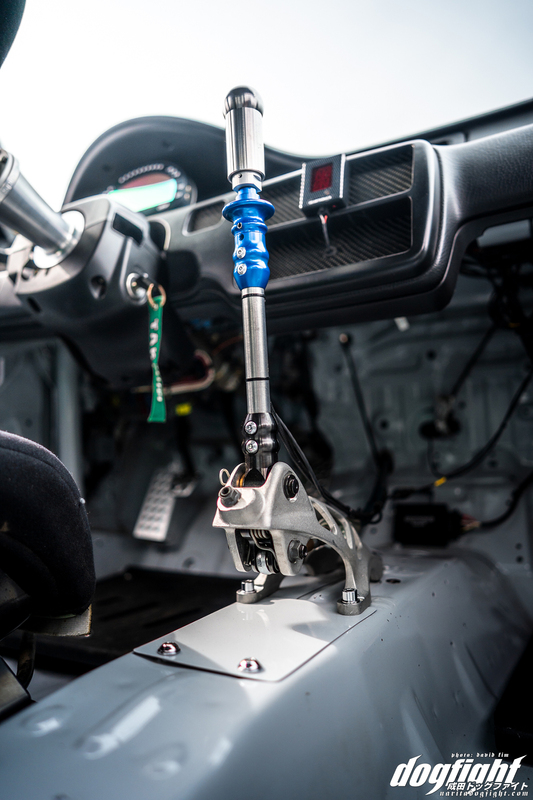 The Quaife 5-speed sequential transmission was one of the more major undertakings that Phil had sought to complete during the car’s downtime, but one that will hopefully pay off in reducing lap times. 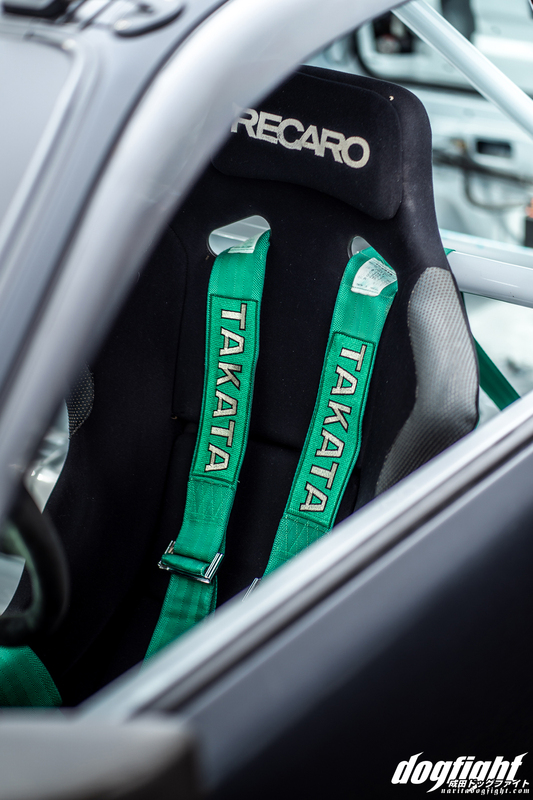 A well-used Recaro SPG still has duties of keeping him secure in the turns. 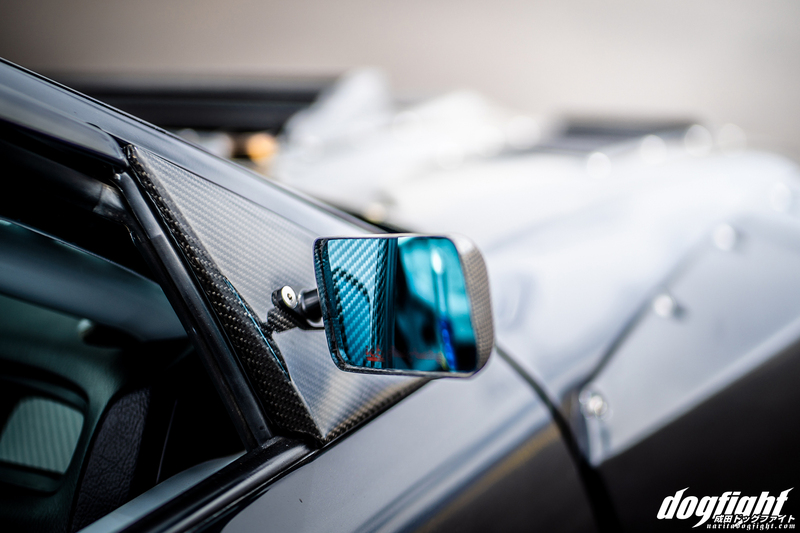 ICB/First Molding carbon side mirrors provide both style and a clear field of view. A small pipe that protrudes through a cutout in the back of the hood alludes to the passerby to what now provides the brunt of the power coming from the motor. 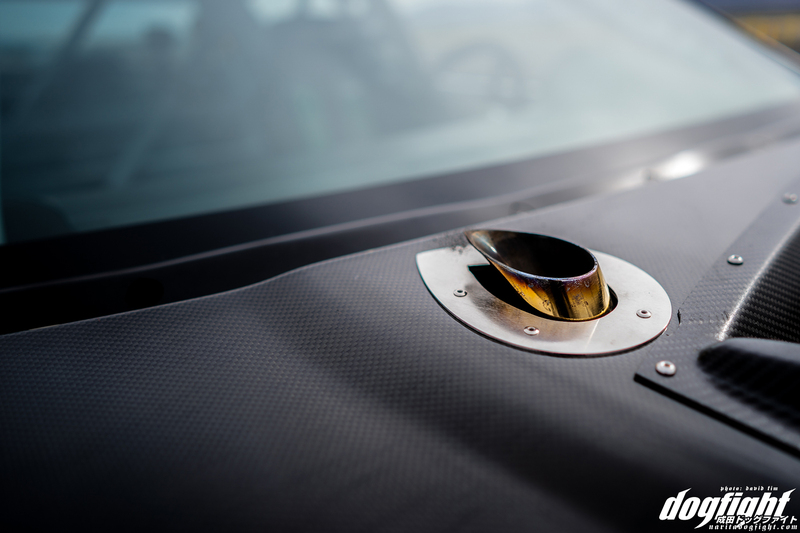 The wastegate piping has been custom routed out the hood for the most efficient use of space in the crammed engine bay. The K24 that resides underneath the hood has been through the ringer and back considering that this motor has been in and out of the car for well over 6 years now. It’s interesting to go back to the Speedhunters article that Sean had shot back in 2013 and compare just how different this car has become in the past decade. Leave it to Honda to make a tried and true motor though, as the powerplant is still kicking after all these years. With the most recent addition being that of a Garrett GTX3076 turbocharger, power levels are bumped up to a very healthy 400hp with 323 foot pounds of torque; can’t beat that 2.4 liter displacement. 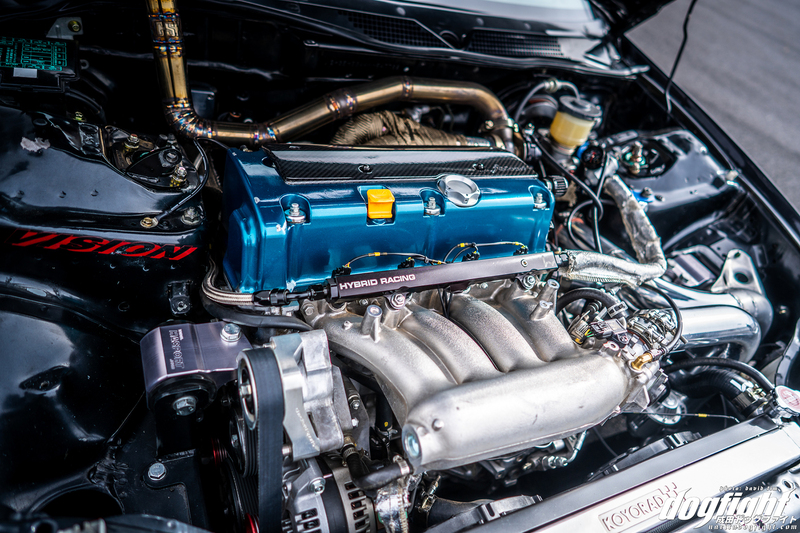 Believe it or not, the motor’s internals remain stock, with the exception of a HyTech oil pan baffle to ensure that the pickup never goes dry in tight cornering. A Koyorad cross-low radiator, specifically intended for K-swaps ensures that everything stays nice and cool with regulated temps. Really goes to show what’s achievable with a basic K24 and some really accurate tuning. 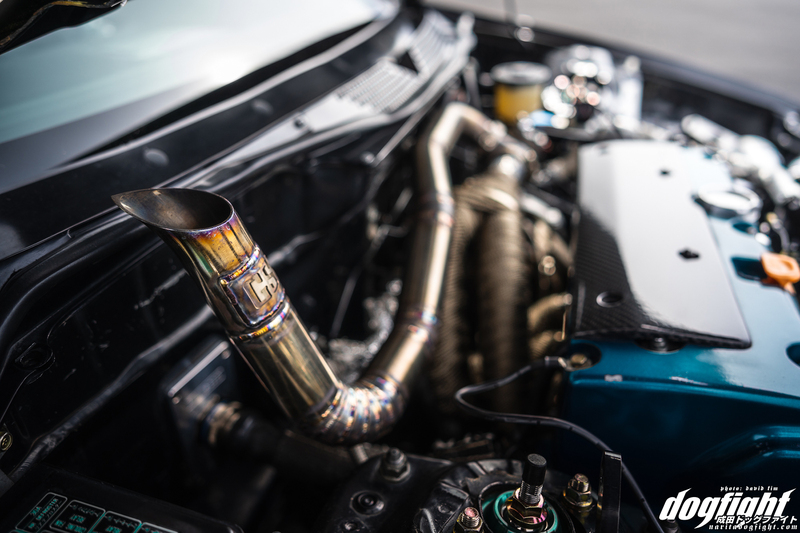 A closer look at some of the custom welding on the wastegate pipe. The rear diffuser and wing help round out the balance of downforce the car will now see with the new aerodynamic changes. I wish I could tell you how the car felt to Philip out on track with the new changes, but, the car still has some obligations before hitting the track. I bet Phil wishes he could tell you too! Venting is handled by an array of Top Stage hood vents. 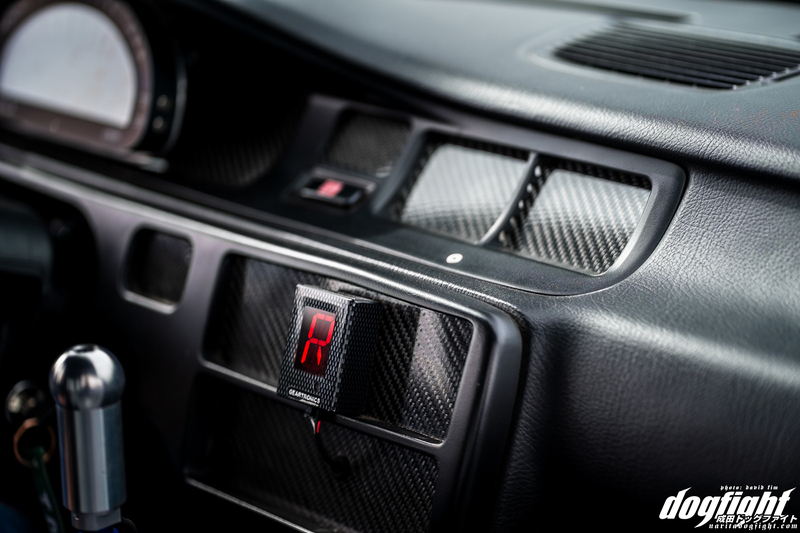 You’ll notice a few similarities between these and the vents that the JDM Yard Civic utilize, as the Melbourne based composite shop works very closely with the boys at JDM Yard. 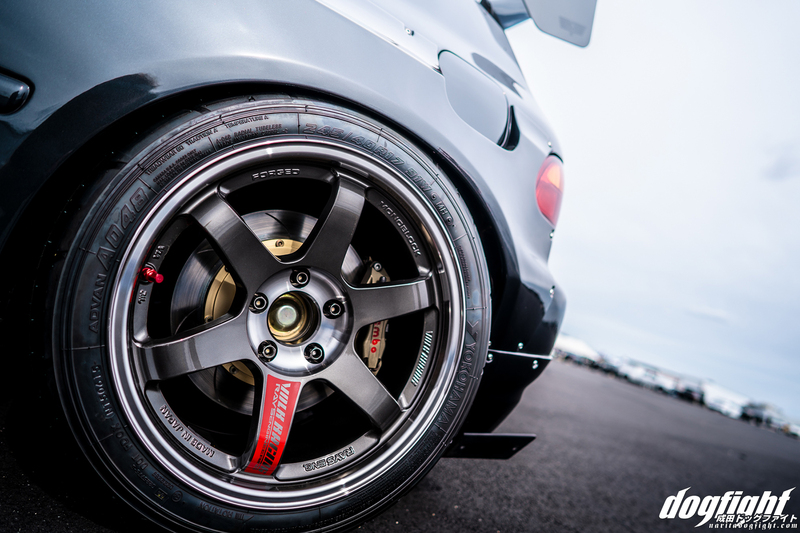 Tein SRC coilovers in OTS configuration handle the bulk of the dampening on-track. Philip has always been adament about driving with ‘feeling’ as opposed to being very data driven, and the simplicity of his modification choices shows in that. 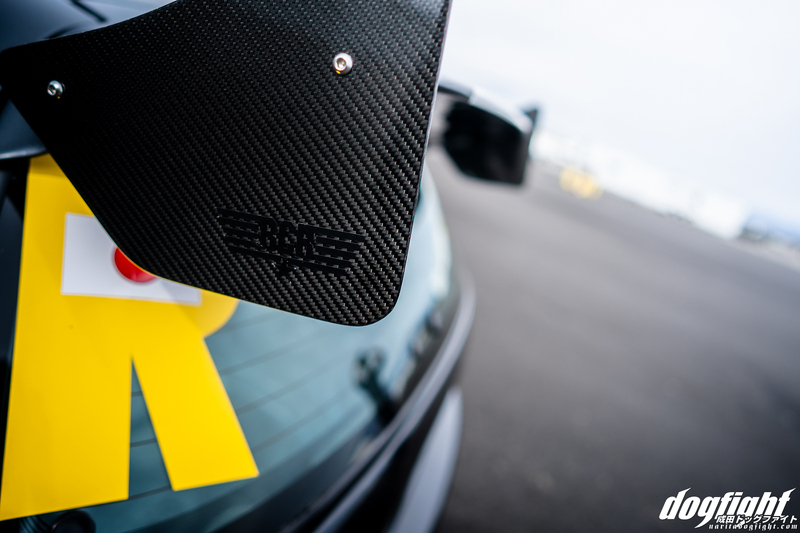 The end result is a package that not only looks amazing, but should perform equally as well on track. Luckily for us, and Phil, the racing season in the Southwest doesn’t really have an ‘off-season’ so to speak, and with events running throughout the year, it’s only a matter of time before we see the duo back on track – no doubt with a large smile underneath the helmet. 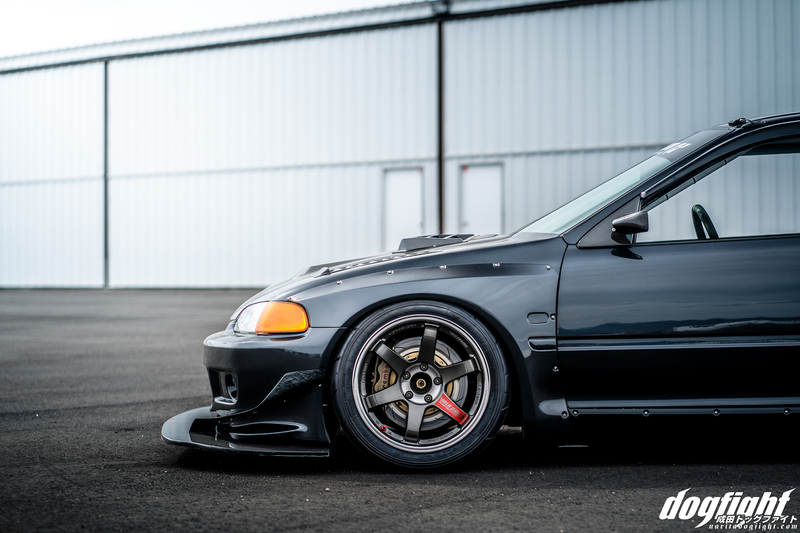 Love the EG6. But he should seriously consider running staggered tires. 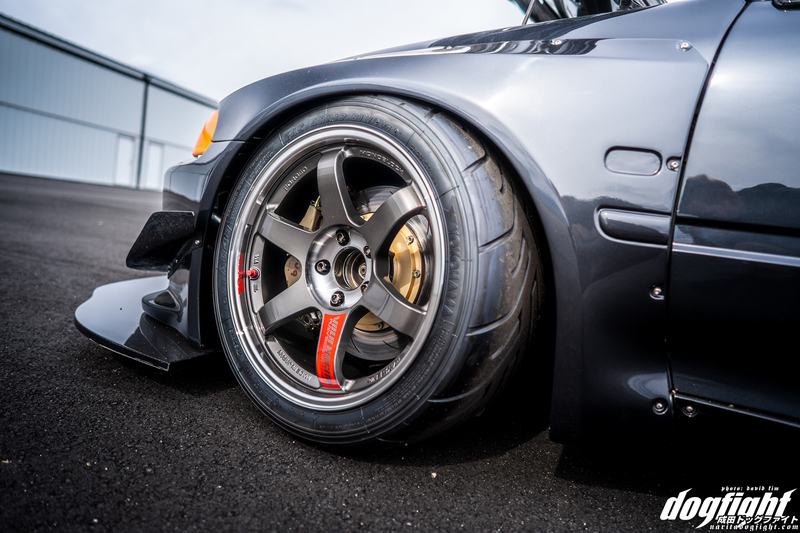 The front of a FWD needs some sidewall, and wide rubber. The rear needs the opposite. If you monitor tire temp you will realize that the front gets too hot and the rear stays cold. That’s why you need to have a staggered setup. You can easily get away with 205s on the rear. I think the best would be 245/50/15 front and 205/40/17. But the tire temp must be matched front to rear. If not, you are leaving a ton of grip on the table. Hehe, are you going ‘Full Trump on us? Talking about yourself in 3rd person?